Tired of hearing the crappy love songs produced the person beside you? Loud Metal songs that irritates your ears? Well Turtle Beach proudly present a speakers that is designed to provide crystal clear sounds only in the direction they are facing while leaving the surroundings a music free zone.The speaker generates a narrow beam of audio in the air targeted at listeners. You can relate this to a flashlight on how it illuminates a certain area. 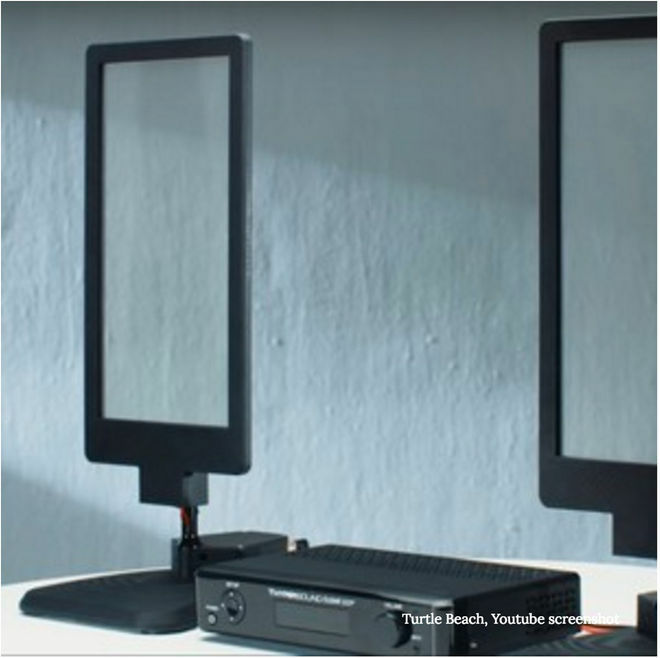 The glass of the speakers are made up of multiple layers of transparent materials and electronics allowing the glass to generate ultrasound frequencies that lies at the heart directional audio.Want to know more about this awesome device? Follow this Link!